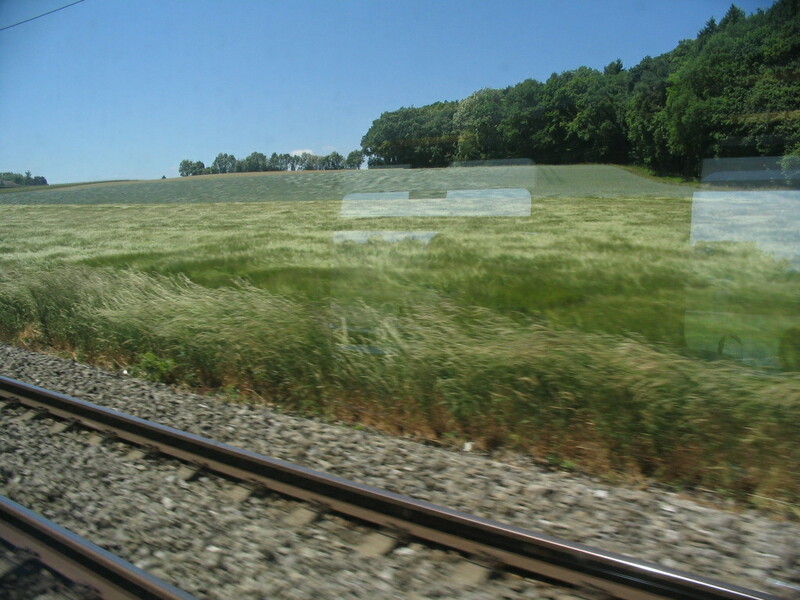 From Zurich I took a fast train to Geneva. 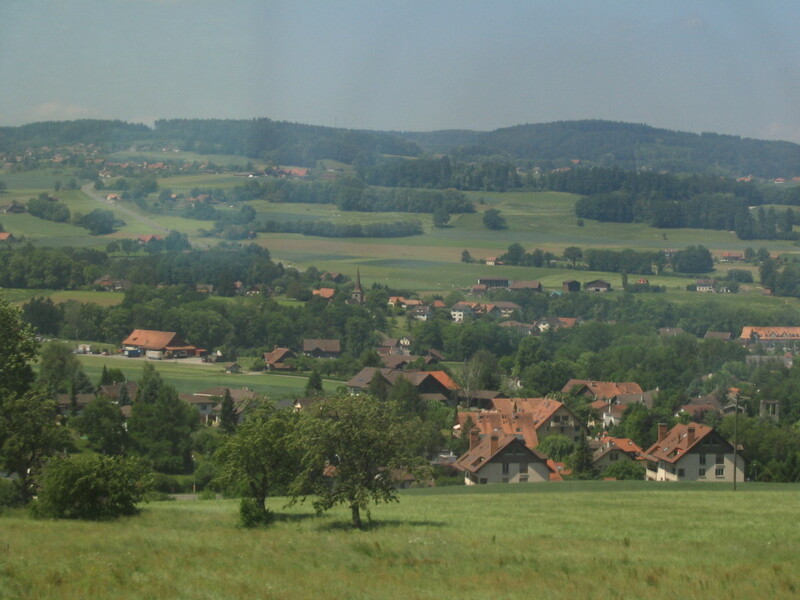 This was my first time in the French-speaking part of Switzerland, known as Romandie. 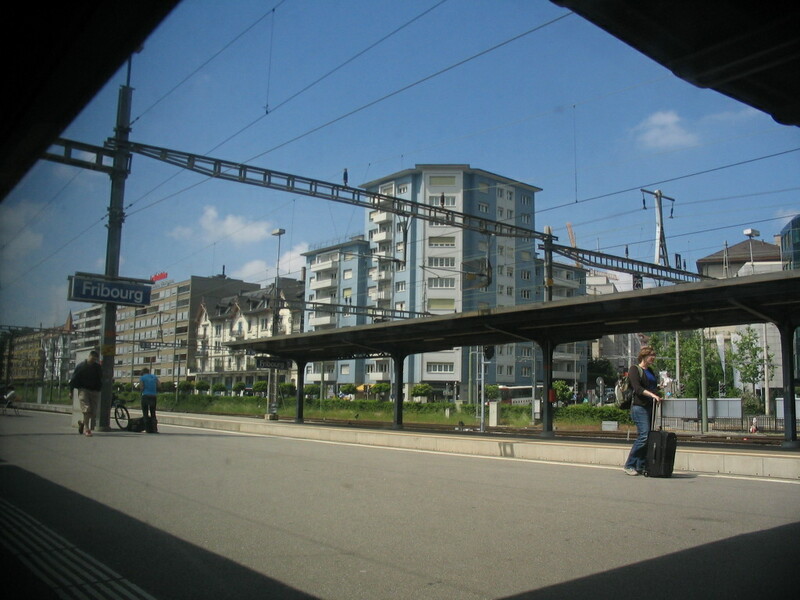 Beyond Fribourg station, a motley crue of buildings. 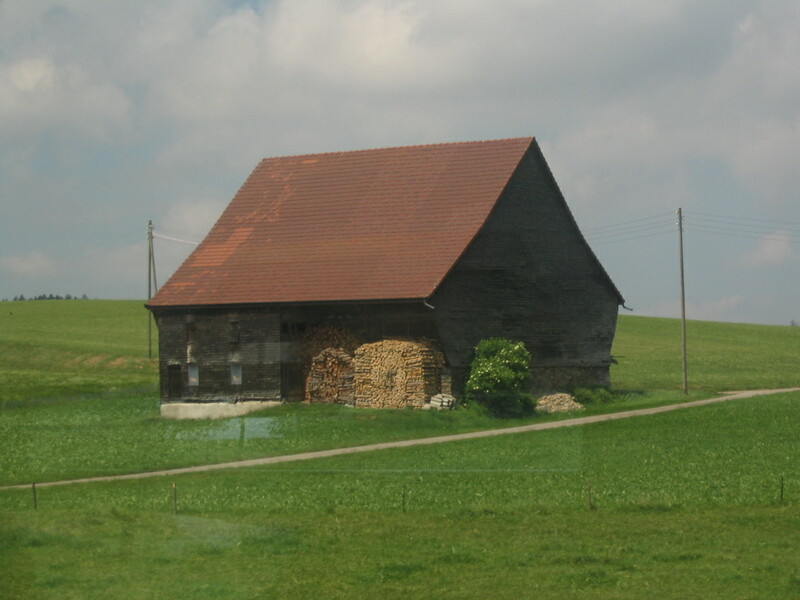 With its flared gable, this barn (farmhouse?) 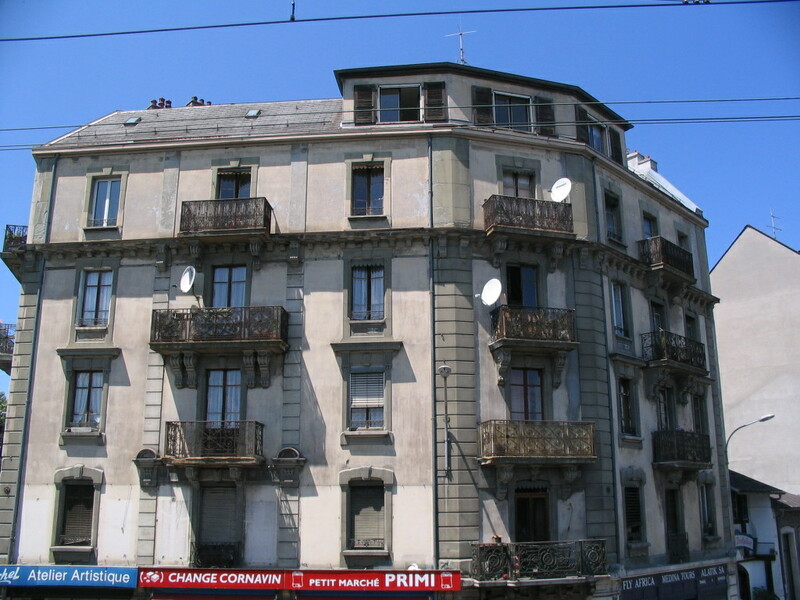 again looks like the typical Zürcher style, but clearly there's no monopoly on that. 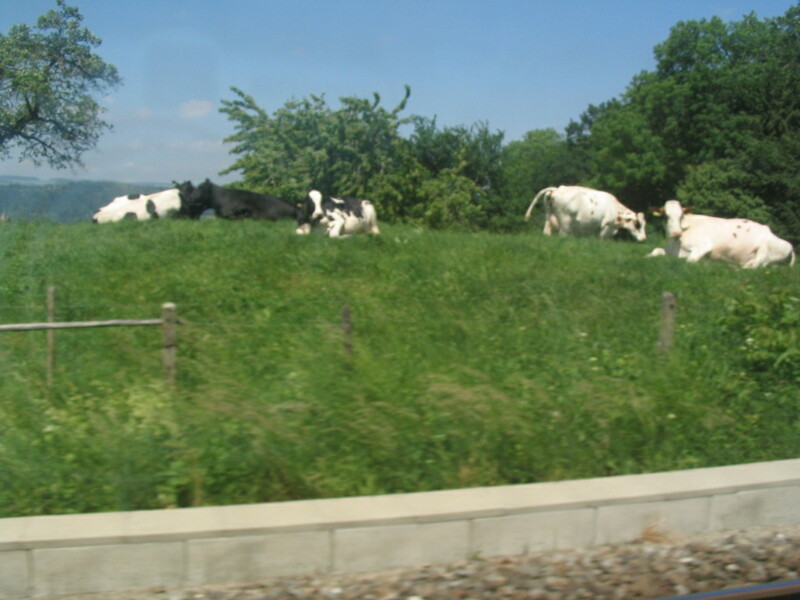 Somewhere after Romont (in canton Fribourg) and before Lausanne: a different breed (maybe multi breeds?) of Kühe than seen in the Engadin. 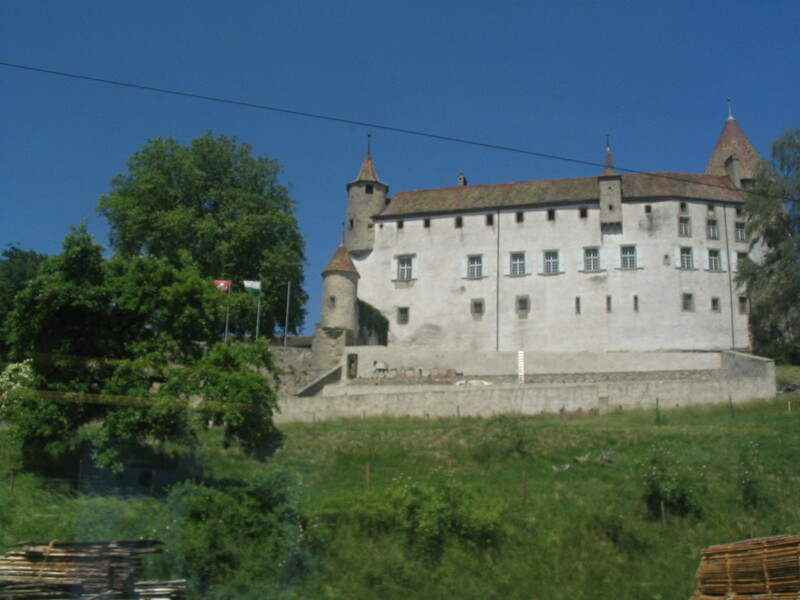 A cool castle, though it seems a bit lower in elevation than one would expect. 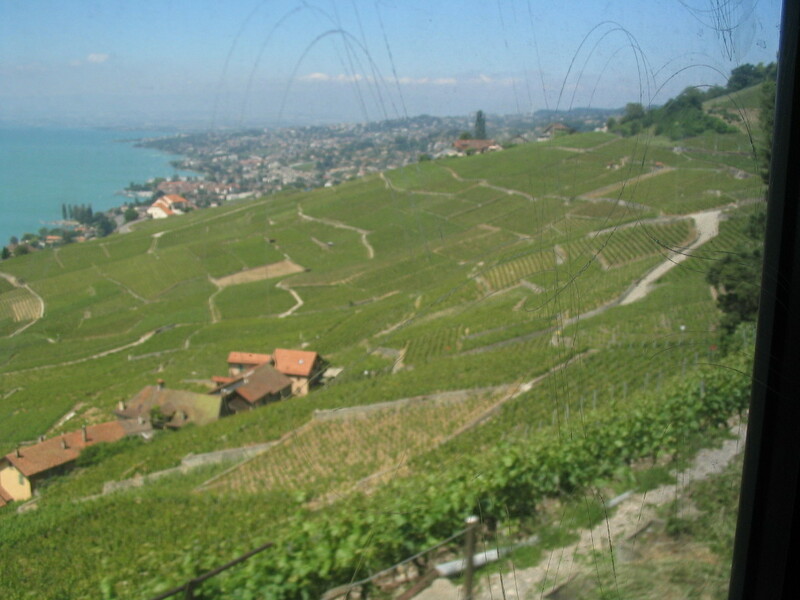 And then, my very first look at Lac Léman (Lake Geneva). 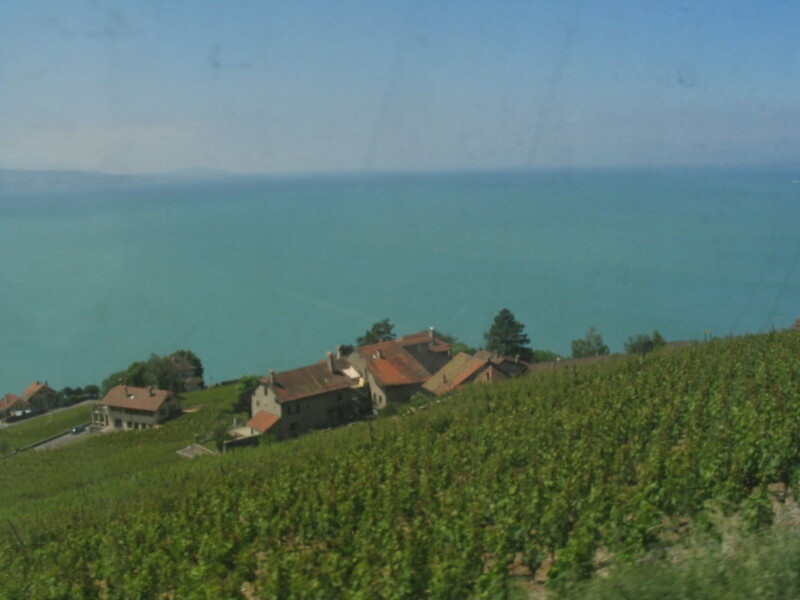 The north shore of the Lac looks incredibly Mediterranean. 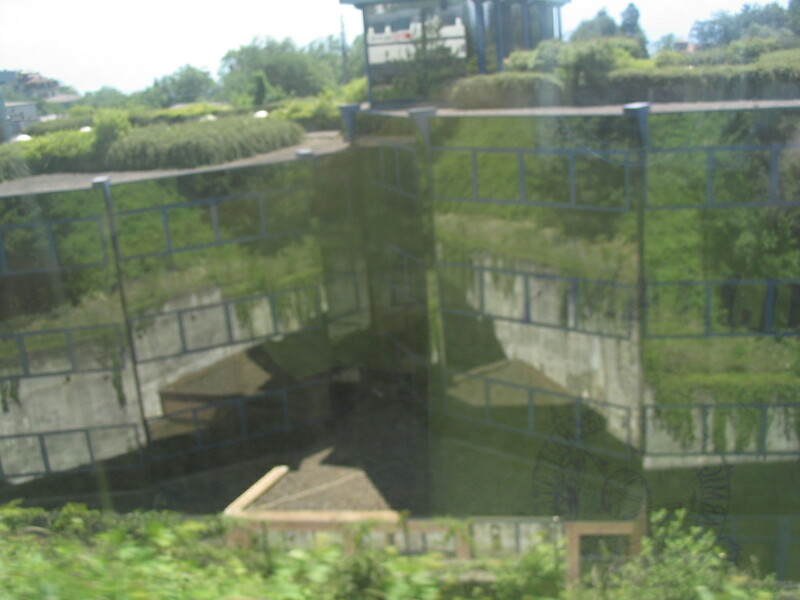 In Lausanne or thereabouts, a fascinating and perplexing plants-and-mirrors building. 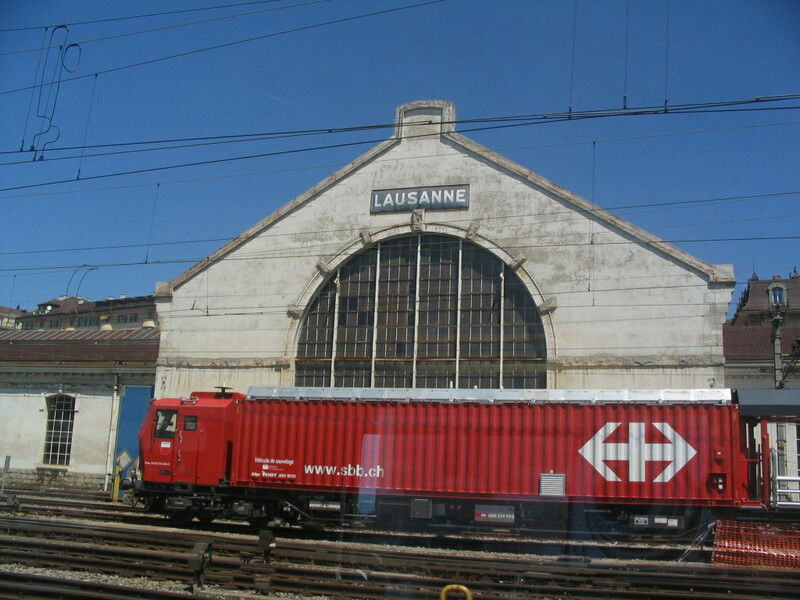 A rather worn but still grand gable of the Gare de Lausanne. A brand-new barn addition. 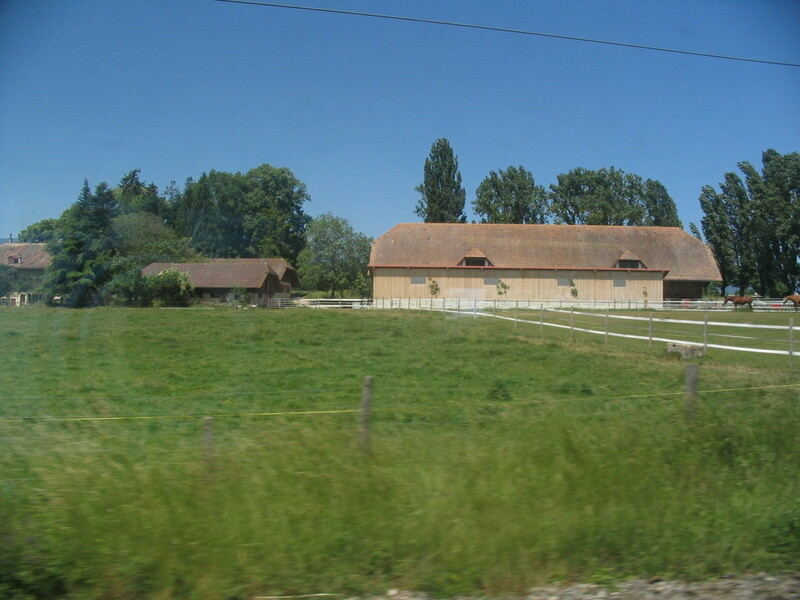 These buildings look pretty similar to Bernese farm buildings too, given their hip roofs. 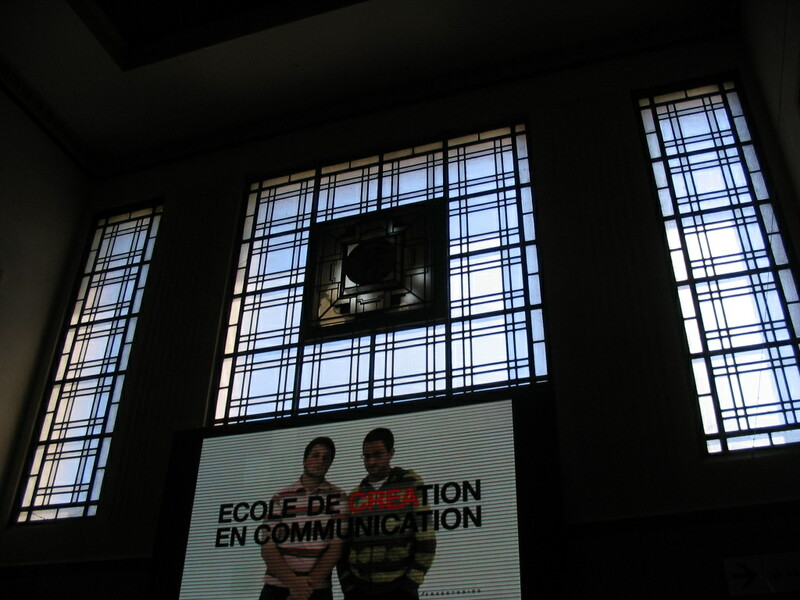 Then at the Gare de Cornavin, the main station at Geneva, grand 1920s windows. 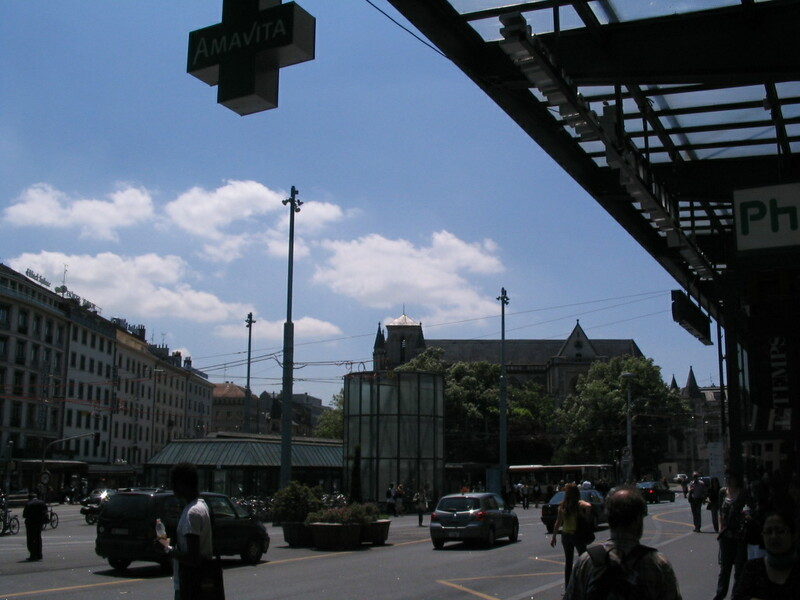 I walked out to the street to get just the quickest look at the surroundings. 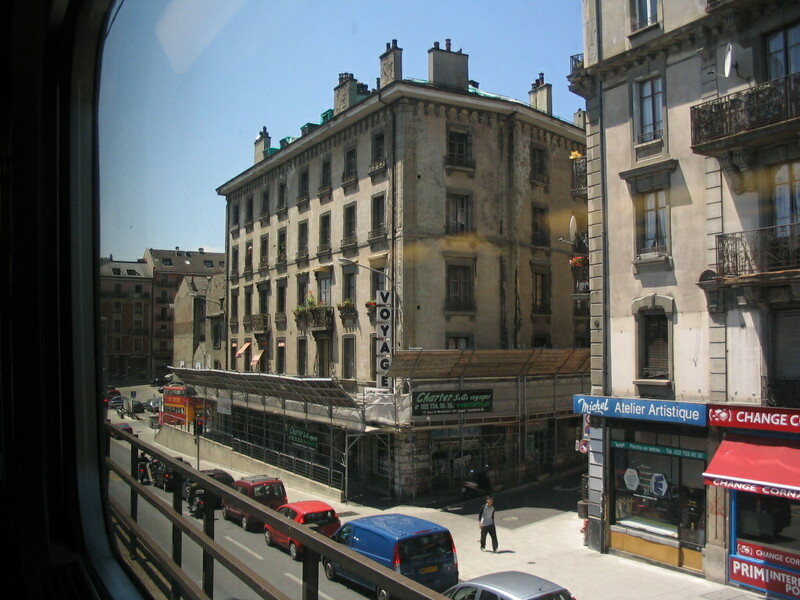 The dominant style was very French-urban-fabric. Quite the patina on the "VOYAGE" building. Quite the quantity of chimneys, too.